Paul Wolfowitz on the death of Osama, the pro-democracy Arab Spring, and the importance of U.S. leadership. WASHINGTON--One morning when he was deputy defense secretary, Paul Wolfowitz had breakfast at the Pentagon with a group of congressmen. 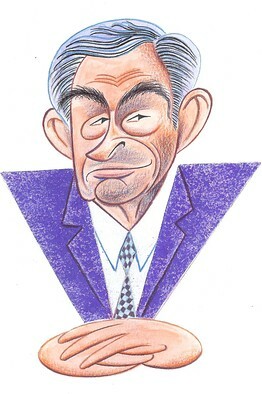 His boss, Secretary Donald Rumsfeld, "was talking about the difficulties of predicting the future and the dangers of surprise," Mr. Wolfowitz recalls. "He said, 'You know, historically every time we think the threat has gone away, something comes along and surprises us.'" Mr. Wolfowitz's next meeting was interrupted by the news that a plane had hit the World Trade Center. Soon after, the Pentagon was evacuated after being hit by another hijacked aircraft. Recent months have brought new surprises, as a wave of pro-democracy demonstrations has swept across the Arab world. Then, this week, President Obama announced that al Qaeda's leader was dead. "The most striking thing is that even before Osama bin Laden was killed, he seemed largely irrelevant to the Arab Spring," Mr. Wolfowitz says when I ask about the confluence of the two events. "I don't know of a single instance of these Arab freedom fighters holding up pictures of bin Laden. I know many instances of them displaying American flags in Benghazi or painting 'Facebook' on their foreheads in Cairo. The idea of freedom . . . is absolutely contradictory to what bin Laden stood for, which was . . . taking Muslims back to some medieval theocracy and encouraging people to die not for freedom but to go to paradise and to kill innocent people along the way. The contrast is really striking." The Arab Spring is a source of satisfaction to Mr. Wolfowitz, whose advocacy of democracy promotion as a "fundamental point of strategy" made him a demon figure for the antiwar left. Typical was a speech delivered by an obscure Midwestern state lawmaker in October 2002, as Congress considered military action in Iraq: "What I am opposed to is the cynical attempt by . . . Paul Wolfowitz and other armchair, weekend warriors in this administration to shove their own ideological agendas down our throats, irrespective of the costs in lives lost and in hardships borne." The speech was typical, but the speaker turned out not to be. Barack Obama left the Illinois Senate in 2004 and now sits in the Oval Office. When I dropped in on Mr. Wolfowitz this week, we sat in a conference room at the American Enterprise Institute, the think tank he joined after a stint as president of the World Bank. He is now an outside critic of the administration in power-albeit, at 67 and with several decades' experience conducting foreign policy under six presidents, a more seasoned one than the 41-year-old Mr. Obama was. He says that pro-democracy sentiment in the Mideast caught President Obama by surprise as early as June 2009. That was when Mr. Obama spoke in Cairo in what the administration touted as "a new beginning" in U.S. relations with the Muslim world. The White House transcript shows that the president was interrupted by applause when he said: "The fourth issue that I will address is democracy." Mr. Wolfowitz observes that Mr. Obama "stumbled on the next sentence," which began: "I know there has been controversy about the promotion of democracy in recent years . . ."
Mr. Wolfowitz imagines what went through the president's mind: "He realized, 'There's something not quite right here. I'm about to say it's controversial, and . . . they've applauded the mere mention of the topic.' Which says that people do somewhat distinguish between the idea of democracy and freedom and the idea of the United States." The president then cited the Iraq war and declared: "No system of government can or should be imposed [on] one nation by any other." To Mr. Wolfowitz, that is a straw man: "We did not go to war in Afghanistan or in Iraq to, quote, 'impose democracy.' We went to war in both places because we saw those regimes as a threat to the United States." Once they were overthrown, what else were we going to do? "No one argues that we should have imposed a dictatorship in Afghanistan having liberated the country. Similarly, we weren't about to impose a dictatorship in Iraq having liberated the country." Mr. Obama also missed the mark in 2002 when he characterized Mr. Wolfowitz as an ideologue. In fact, his views on democracy are the product of practical experience, not visionary theorizing. In his early years in government, in the 1970s, he dealt "with pretty much entirely security issues" at the Arms Control and Disarmament Agency. "I had a very cautious view of regime change, to put it mildly," he adds, noting that in 1979 pro-American dictatorships in both Iran and Nicaragua fell to hostile and more repressive tyrannies. World-wide, he says, democracy had been "in constant retreat" since the end of World War II. "If you looked around the world in 1981, you could say free, democratic institutions are a luxury that only the developed world enjoys-that is to say, the Anglo-Saxon world plus Western Europe plus Japan." That began to change when Ronald Reagan came to Washington. Mr. Wolfowitz joined the State Department and helped bring about democratic transitions in South Korea and the Philippines. The 1980s and '90s saw democratic advances elsewhere in East Asia as well as in Latin America, Eastern Europe and parts of sub-Saharan Africa. By the end of the 20th century, the Arab Middle East had become an outlier-the least democratic region in the world. If that is changing at last, Mr. Wolfowitz believes it is because Arabs have been inspired by progress elsewhere-by "seeing so many other people enjoying freedom." But has the Arab Spring occurred because of the Iraqi experience or in spite of it? When I ask Mr. Wolfowitz, he is hesitant: "It's a fascinating question, and one should probably simply . . . say it's in the category of the unknowable." Pressed to elaborate, he does so judiciously: "I think Iraq took so long and was so bloody and is still so uncertain that it would be hard to say that it has inspired people." But he argues that if Saddam Hussein were still in power, "the last thing he'd want to see is democratic revolutions anywhere." Because Saddam would be "actively supporting" fellow dictators, "we very likely would not be seeing what's happening. . . . The absence of Saddam is a huge weight off the Arab world." He does see a source of inspiration in Tunisia, where the Arab Spring began. "If there's any country in the Arab world that should be in the position that South Korea was . . . that is to say, a country with a large enough middle class and sufficiently advanced institutions that it should be able to manage a transition to democracy, Tunisia's the one-arguably the most advanced country in the Arab world. . . . Tunisia's way ahead of Iraq in terms of what it could potentially do." Mr. Wolfowitz sharply criticizes the Obama administration for its response to the Mideast's democratic wave. "On Iran, it was just terrible. To me the analogy is in 1981, when martial law was declared in Poland. . . . Reagan saw it as an opportunity to drive a wedge into this opening, and he and the pope went at it. . . . You had a similar opportunity in Iran in June of 2009," after the stolen election set off massive protests, he says. "What did we do? We sat on our hands. Why?" Because the Obama administration "entertained this hope that we could negotiate with the regime, and therefore we didn't want to antagonize them. . . . Which, by the way, isn't even a smart way to negotiate. It suggests such an eagerness to negotiate that the other guy knows he has you." "Egypt we just bungled completely," he adds. "I mean, our position was always three days behind whatever was actually going on." As for Syria, "we've failed under both [the Bush and Obama] administrations to recognize how hostile [Bashar] Assad is to everything we want to accomplish in that region," even when Assad backed foreign fighters killing American soldiers in Iraq. "Now he's clearly declared himself as an enemy of his own people. At the very least, symbolism matters, and the symbolism of leaving an American ambassador in Damascus. . . . He should have been out a long time ago." Then there's Libya, where the Obama administration has intervened militarily with the desire, if not exactly the mission, to topple a dictator. "I think they did the right thing with the military action," Mr. Wolfowitz says. But he faults the manner in which it has been done. Mr. Wolfowitz would give the rebels weapons, training, diplomatic recognition and help with communications, possibly to include jamming Libyan state television. Instead, "we have let [Moammar Gadhafi] regain the momentum three or four times now in the course of this thing, and it's a war of momentum. If it bogs down, then you have a stalemate, which becomes a playground for the worst elements in the Arab world. It risks repeating what we did in Bosnia, where we had this arms embargo on both sides, but it simply empowered the aggressors. . . . There's just no sense of urgency in this administration on the issue." All these specifics add up to a forceful critique of "leading from behind," as an unnamed presidential adviser memorably described the Obama foreign-policy approach in an interview with The New Yorker last month. "I think part of what is needed in dealing with everything from Iran to Syria to Libya to even our friends like the Egyptians is to realize that we should be leading a little bit more from the front than from behind," Mr. Wolfowitz says. "When you have freedom sweeping the Arab world, and you have people willing to risk their lives not as suicide bombers to kill innocent people, but to save lives and to gain freedom, the United States, first of all, should recognize generally speaking which side of that issue we're on. . . . There are all kinds of ways it can end badly, but that would seem to me to be even more reason to be deeply engaged-to find people who want it to end the right way and to support those people, rather than holding back." Yet Mr. Wolfowitz tempers his criticism with forbearance. "I think there's a learning curve," he says. "I think they're climbing up the learning curve." He takes encouragement in the president's "gutsy call" of sending men to finish off bin Laden in person rather than dispatching him with a missile. "Obama has just made the toughest decision of his presidency, arguably," Mr. Wolfowitz says. "It wasn't a simple decision. . . . He was in a position where he'd have to take responsibility for it if it went badly. It's gone well. I hope he's learned some of the virtues of boldness."